The Council of The Cape Law Society has noted with grave concern the recent report in the Daily Dispatch where MEC Belinda Francis Scott is quoted, inter alia, as saying that attorneys are “not only criminal, but parasitical. They are vultures”. There appears to be an unfortunate tendency, by the Minister and some of the MEC’s responsible for health, of avoiding responsibility for the weaknesses in their Departments, by deflecting public attention away from these weaknesses and focusing attention on the contingent liability claims against their Departments, coupled with the suggestion that attorneys manufacture these claims against the State, which results in a budgetary crisis. No mention is made of the poor service that the majority of the population is subjected to daily in the public health facilities of South Africa, which ultimately gives rise to such claims. It is not constructive, is unhelpful and is in fact a disservice to the majority of the public who rely on these services to overlook the symptoms of a dysfunctional public health service in South Africa and to instead blame attorneys for those symptoms. A person who believes that he/she has suffered damages as a result of medical negligence is entitled to be advised and represented by an independent attorney, to have his/her matter determined in a fair public hearing before a court and if so determined by a court, to receive compensation. The same right to approach courts to enforce rights is exercised regularly by public officials whenever they wish to assert certain rights or defend themselves against claims of various natures. The Department is plainly not in a position to assist a person who has been injured and suffered damages as this would give rise to a clear conflict of interest. Attorneys promote the right to access to justice that is enshrined in Section 34 of the Bill of Rights. They help members of the public, who may sometimes be impecunious, to take cases to court where the judiciary determines the merits of each case without fear, favour or prejudice. They do this consistent with their oath of office (see Schedule 2, Item 6 (1) of the Constitution). It is of great concern that some political leaders responsible for health have expressed the view that users of public sector health care facilities should be denied their constitutional right of access to justice. 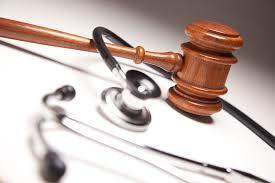 In all medical negligence cases, the Department of Health is legally represented. Where the Department loses cases brought against it, its lawyers ought not to be victimised, as they cannot be expected to undo the negligence that health care professionals visit on those members of the public who place their lives in the hands of health care professionals. The Department of Health should respect the right of all South Africans to access to quality health care as enshrined in Section 27(1)(a) of the Bill of Rights and must respect the dignity of all the people of South Africa as enshrined in Section 10 of the Bill of Rights. The Cape Law Society calls on those political leaders responsible for health to refrain from making unfair generalisations and ill considered public pronouncements that are calculated to tarnish the image of the legal profession in South Africa. Such antics are not constructive. Those political leaders responsible for health who are unable to ensure that the majority of the people of South Africa receive the high quality health services they deserve, should do the responsible thing and resign as soon as possible. The Cape Law Society believes that an improved understanding can be enhanced through dialogue and extends an invitation to political leaders responsible for health to engage in constructive discussions with the organised legal profession in the spirit of working together. Furthermore, The Cape Law Society will not hesitate to take action against any attorney found to have acted unprofessionally by touting for work at hospitals. The Department is encouraged to report any such instances to The Cape Law Society.